The Bollywood film industry has already been the subject of discussion about the names of its films. 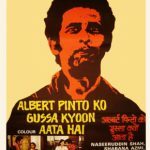 In Bollywood’s more than 100 years of history, there are a number of films which is still remembered for their weird and difficult names. 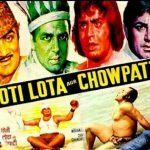 Today I am sharing top 100 difficult Hindi movie names for our readers. One of the popular movie which is still remembered for its long Hindi title. This film was released in 1988. 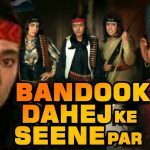 Popular actors of that time like Dharmendra, Govinda, Anita Raj, Farha Naaz, Kulbhushan Kharbanda acted in this film. This film was directed by K.R. Reddy and produced by Ram Babu. This film proved to be a flop at the box office. The name is the combination of pure Hindi and Sanskrit. This film, produced by the legendary Director / Producer V. Shantaram, was released in the year 1971.Veteran Actress Sandhya was featured in the lead role.The music of this movie was very popular. Very difficult Hindi movie name to guess. This film was based on the social topic of dowry and released in the year 1989. 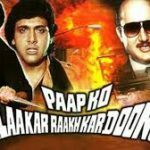 Actors like Shashi Kapoor, Gulshan Grover, Sadashiv Amrapurkar, Raza Murad, Kiran Kumar, Archana Puran Singh, Shekhar Suman, Alok Nath acted in this film. This movie was released in 1975. Because of the lengthy star cast of this film, the film got a lot of headlines.Despite actors like Sanjeev Kumar, Dharmendra, Mahmood, Prem Nath this film emerged as flop movie on box office. This difficult Hindi movie name is also a good choice in Dumsheras.The film is directed by Marathi Actor/Director/Producer Dada Kondke. Dada also played a leading role in this movie. Along with Dada Kondke, Legendary actor Amjad Khan was also seen in the movie in important character. This film became popular for its dual meaning dialogues. The film was released in the year 1997. Kader Khan & Shakti Kapoor appeared in this film in leading characters. The film is directed by Ravindra Arora and Written by Ahsan Bharati. The movie was a big flop on box office. This film, adorned with artists like Om Puri, Shriram Lagoo, Rohini Hattangadi, Satish Shah was released in the year 1978. The film is directed by Bollywood director Saeed Akhtar Mirza. This film earned Filmfare “Filmfare Award Best Film – Critics” award. One of the longest Hindi movie names. Naseeruddin Shah, Smita Patil, Shabana Azmi and Dilip Dhawan appeared in the leading roles. This cult film had won the Filmfare’s Best Film (Critics) Award for the year 1981. This is the dark comedy Bollywood film released in the year 2003. Imran Khan, Anushka Sharma and Pankaj Kapoor have appeared in the pivotal roles. Well known Bollywood director Vishal Bhardwaj produced this film in association with Fox Star Studios. The film did an average business on the box office. 30. Mohan Joshi Hazir Ho! Thank you for Reading Our Article On “Difficult Movie Names, Difficult Hindi Movie Names, Difficult Bollywood Movie Names” Stay Tuned With Us for More Updates.